After doing some research on ways to get them to sleep in the coop I found some people who recommend that I put the chickens in “lock down”. What they said is that I should lock them in the coop for two or three days and that will reprogram them to associate the coop with bed. The chickens were still, for the most part, laying eggs in the coop so the people were fairly sure that doing this would help. After three days of lock down and six very perturbed chickens I let them out. Didn’t work at all. The only improvement is that the chicken that slept under the grill started sleeping on top of the coop. Snoopy would be proud. The other issue I’m having is finding all the eggs. I have six chickens and am only getting two or three eggs a day. Some days I would get four but usually I was getting two or three. 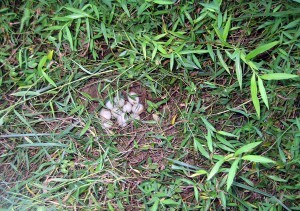 One nice thing is that the chicken that was sleeping under the grill was also laying her eggs by the back door. I found the hidden chicken eggs! When I had my chickens “locked down” I started getting five eggs a day. The most ever. So I was sure they were laying somewhere that I couldn’t find. The other day I saw some of my chickens come running out of my neighbors yard. So I started looking around and what do I find? A stash of ten rather large eggs. Obviously they had been there for a while but at least now I know where they are laying them. What's Out of Place In These Pictures? What’s Eating This Egg? Need Your Thoughts. I’ve had similar issues with my birds. I find the only way they lay in the coop is to leave a single egg in the boxes at all times. As soon as I move the eggs from the boxes, I have to start hunting eggs again. The only other time they lay outside the coop is when they want to go broody. With the number of eggs you found in your neighbors yard all in one place, it looks like a hen might have been moving towards being broody. I’ve had 3 hens go broody this month (out of 15). 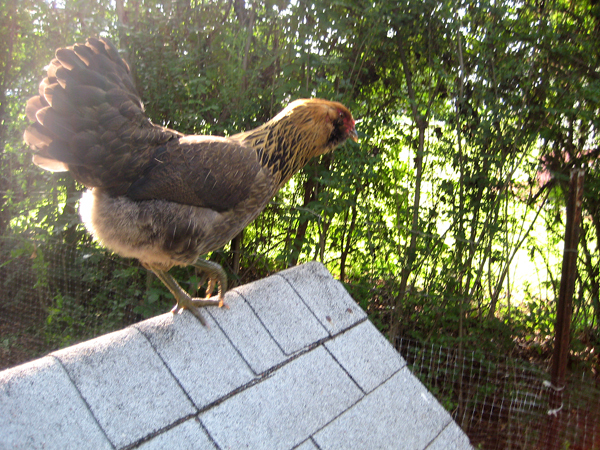 As for getting the hens to roost in the coop, I find rounding them up and placing them up on the perches for a night or 3 usually does the trick. If they don’t stay there, then perhaps there is something missing or uncomfortable for them in the coop. Actually it is fairly easy to get the chickens back into the coop. You just feed them something they really like in the coop, in the early evening. When they all go in there, you gently shut the door. If you get in the habit of always feeding them in the coop every evening, the chickens will settle down to the routine and be quite happy about it. Chickens like routine. Try it. 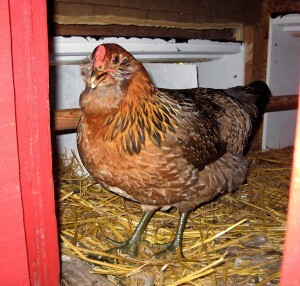 As for laying eggs in the coop, the hens will already be in the coop overnight so that should help. 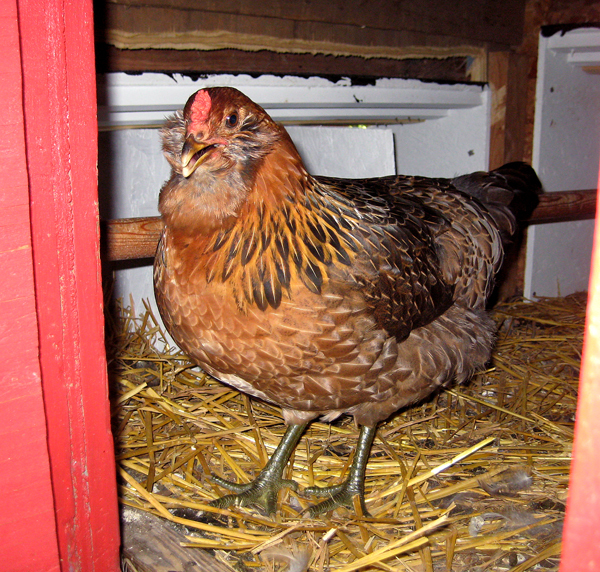 If the nest box area is suitably dark and comfortable, they should return to it to lay even when the coop is open. Nic’s suggestion of leaving one egg in each nest box is a good one. Some hens get frustrated if all the eggs are missing and then decide to lay their eggs in hidden nests somewhere out in the yard. Not a safe thing with predators around. 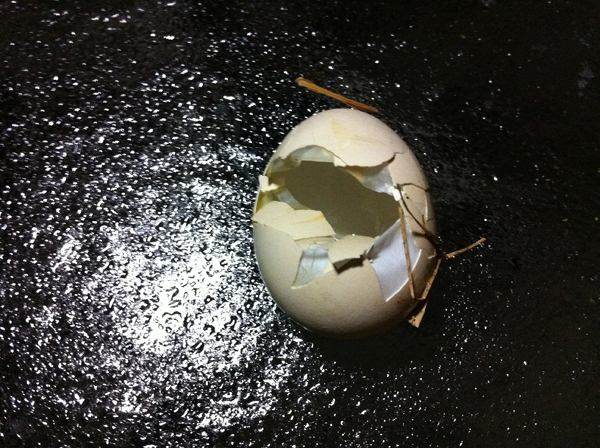 So, mark one egg with magic marker and leave one in each nest box. See if that works. 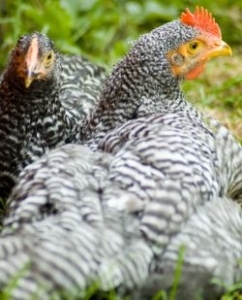 Chickens are smart birds, but you are smarter so think of clever ways to gently get your chickens to do what you want and both you and your chickens will be happier and healthier for it. I’ve tried picking them up every night and placing them in the coop. I don’t have to lock the door or anything because once they are in there they just hop up the roost and go to sleep. I have a small dish with chicken feed in there. I did the whole golf ball trick and that seems to be helping. They roll all the golf balls into two boxes and then lay their eggs on them. I had the same problem with the chickens not going into the coop at night. For us it was a very simple solution–leave a light on. I realized that as the sun set, the coop (inside the corner of a larger barn) was darker than outside dusk, so there was no way they were going to step into that dark room. So now we always leave a single bulb on in the coop during the sunset time. Then I turn it off when I go to close the coop door. If I notice the hens aren’t in, sure bet the light burned out! I’ve been raining hens for 8 years now and have no problem with them coming into the coop at night. We have penned and completely free ranged hens and they always come in at night. The free ranged ones always lay eggs out in the tall grass someplace but that’s more due to the fact that we only free range the old ones for pest control and we make no attempt to harvest eggs off them. Our penned flocks have ample outside and inside space to roam but always lay in the boxes. 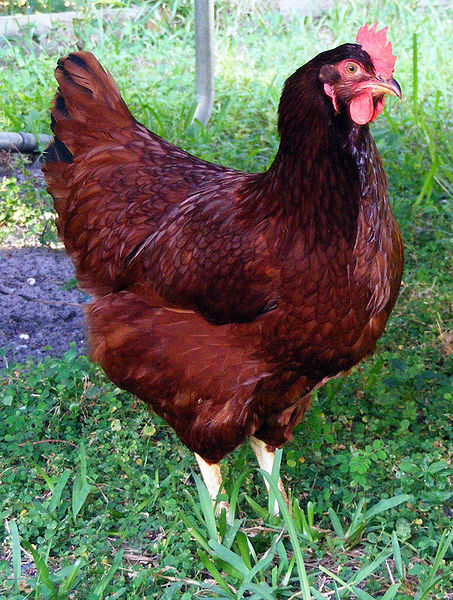 Chickens can be programmed easily as has already been stated. They are social creatures that way and will pull their flock together. A lot can be said about their ability to “coerce” laying and regular laying among their flock members. Try a golf ball to encourage a specific egg laying location. 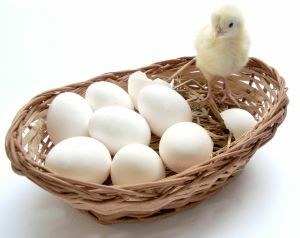 This also works great for broody hens as they will sit on anything they think they can hatch. We’ve had out chicken living inside with us for several months. She wasn’t well, and now that she’s better, spends most of the day outside. She’s an older bird, and we thought she’d stopped laying for good, until the other day, I couldn’t find her. Frantic, I searched everywhere, until I finally found her hidden in some bushes (all I could see of her was her fluffy little backside). Inside the little hole she’d created for herself were 11 old eggs (which had to be thrown out), and one freshly laid egg! 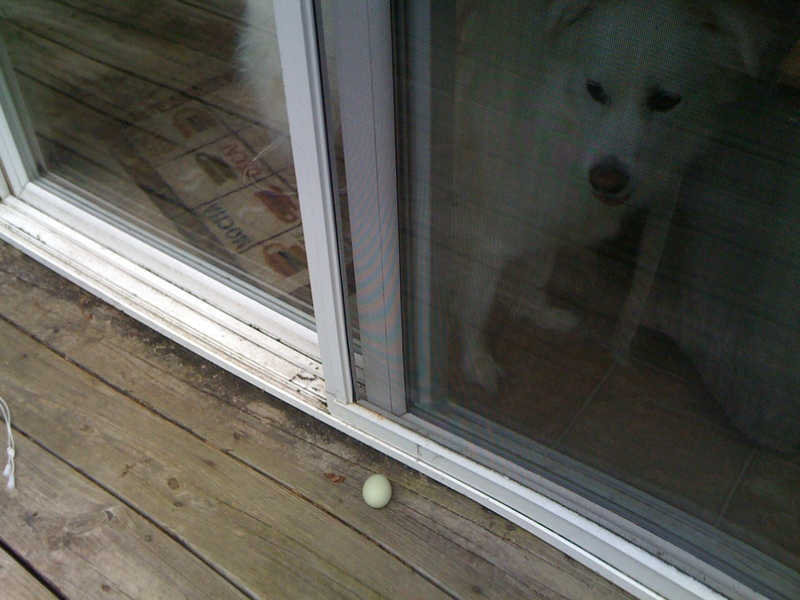 I wish I’d known about her little hiding spot earlier, as I hated having to throw the eggs out. Good luck finding all the eggs – chickens are very smart little creatures, and very good at hiding themselves when they’re laying! I laughed when I saw the egg by the back door. It is like Easter sometimes around here. If you don’t mind them roaming but would prefer them to lay in the one location; try leaving some artificial nest eggs where you’d prefer them to lay. As you’ve seen, they like to all lay in the same spot if they can. Fun blog! Jumped here from Twitter. Thanks for the fun! My chicken.